She’s poised and elegant and reminds many of porcelain. She’s beautiful, ladylike, and always ready with a polite remark. Yet, beneath her buttoned-up manners lays a tangle of conflicting emotions, frustrations, regrets, and uncertainties. Yes, it’s Elizabeth Poldark of whom I speak. 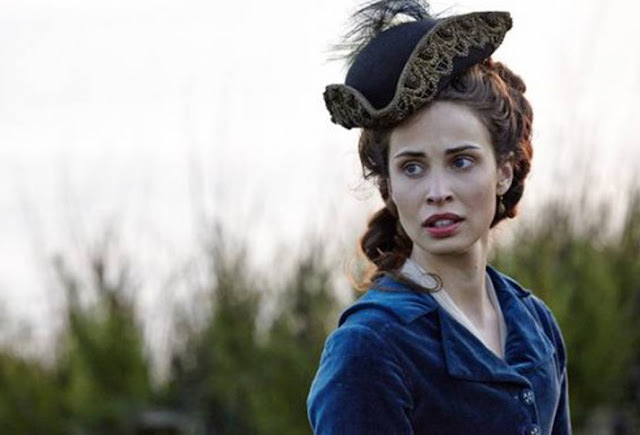 With my newfound love for the Poldark stories has also come an odd fascination with Elizabeth. The iconic hero, Ross Poldark, swept me off my feet in an instant, and I was similarly captivated by the female lead, Demelza Carne Poldark. In fact, if any character delighted me and stole my heart completely, it was Demelza (read more on that here). And on the other side, I easily hated Ross’s arch nemesis, George Warleggan. Malicious, greedy, manipulative, conceited, and obsessed with winning even if it means hurting others, George continues to enrage me in nearly every one of his scenes in the show and books. But the supporting yet crucial role of Elizabeth has provoked a lot of thought. I don’t love her like I do Ross and Demelza, but I don’t hate her like I do George, so where does she fit? She might be the most debated character of the series. Is she sympathetic, villainous, or somewhere in between? Is she to blame for the many terrible hands life has dealt her, or was it all beyond her control? Is she a good person at heart like Ross and Demelza both are, or have her motives always been tainted with self-interest and resentment? Was she a victim, an instigator, or a yielding participant in THE horrible, disillusioning plot twist near the end of book 4, Warleggan? All of these questions and more surround Elizabeth’s character arc. Though she’s not the most likable character in the story by any stretch, I do think she’s one of the most complex and has certainly been the one I’ve changed my mind about the most often. 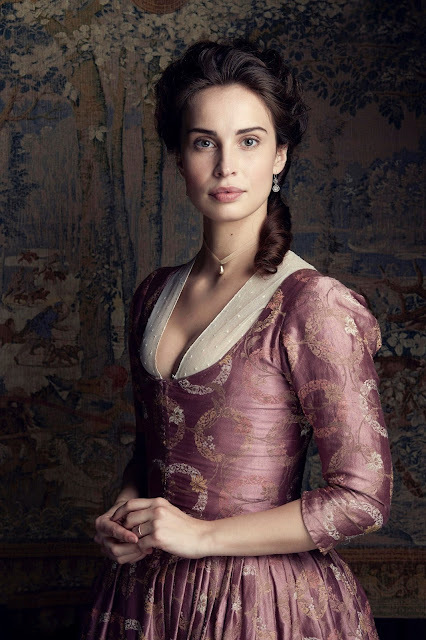 After watching these first two seasons of the show and reading the first six books, one word stands out in my head with glaring clarity whenever I think of Elizabeth. Tragic. Other apt descriptions might include manipulative, weak, selfish, people-pleasing, confused, or unlucky. But more than anything else, I think “tragic” sums up the mass of contradictions that is Elizabeth Poldark, and this series of posts will attempt to explain why I think that word fits her and why I'd argue that she deserves a bit more sympathy than many give her. As I became absorbed in writing about her, I quickly realized I'd need more than one post, so this is the first of three! 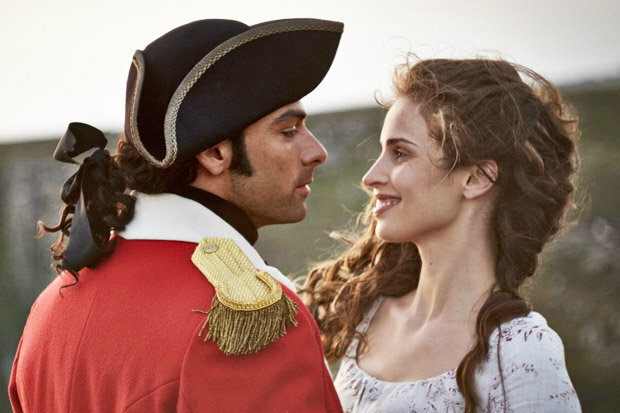 In this one, we'll take a look at the early years of the Poldark story, primarily Season 1 of the new TV series and books 1 and 2, Ross Poldark and Demelza. Be forewarned: thorough spoilers from aforementioned material ahead! Well, no, actually you wouldn’t have. Sorry to break it to you, but that line of thinking is clearly a product of modern preconceptions, not 18th century ones. Love was not a factor in the vast majority of marriage decisions in 1783. Money, position, social influence, and titles were. It’s hard for us to get our heads around that because we now understand marriage as something for personal fulfillment. But in the 1700s, marriages were social arrangements for optimal influence and wealth. And for a woman, marriage was literally the key to survival. Women had no rights to property or money; everything they owned was their father’s and then their husband’s when they married. And if you weren’t married by your early twenties, you were virtually “shelved” and would be doomed to live off the goodwill of your male relatives until who knew when. Verity Poldark, Francis’s kindhearted older sister, is the perfect example of this. At the beginning, she’s 25 and without marriage prospects, so she’s basically become a voluntary extra housekeeper in her own home. So Elizabeth feels realistically torn when Ross suddenly returns. She and Ross had been in the impassioned throes of young love before he went to war, but who can blame her for moving on after hearing nothing from him for three years and hearing that he’s dead? And Francis was undoubtedly the most eligible bachelor in their Cornwall community. He’s wealthy, he’s the heir to property and a beautiful home, he’s a respected leader in their area, and he has an ancient family name. Elizabeth also comes from a distinguished aristocratic family, so the marriage is perfect on 18th century paper. Ross’s return changes none of those facts, even if it does bring back the old butterfly feelings. The wedding is very soon too. Even in a modern setting, that would be a serious pickle. But Ross is also poverty-stricken upon his return, so he could have offered Elizabeth barely anything beyond a leaky roof over her head. Plus, engagements were almost as good as marriage at that time. 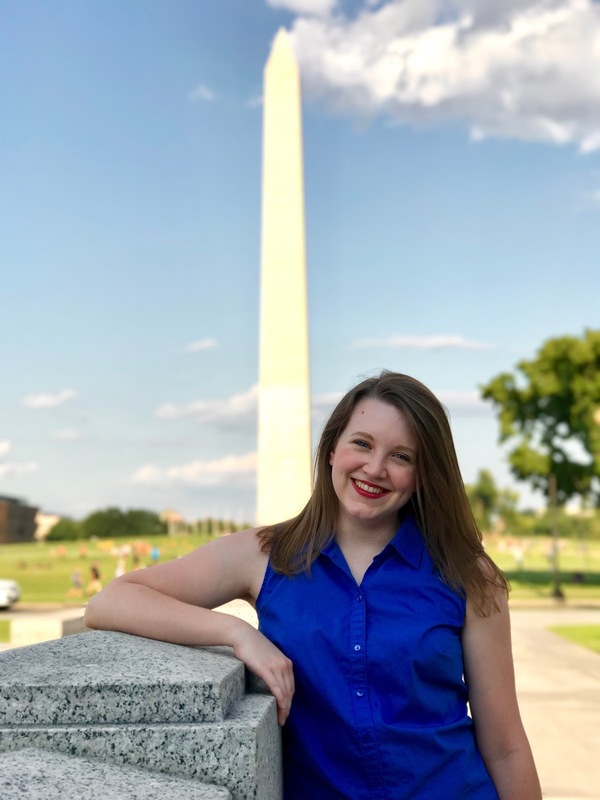 To break off an engagement was unheard of, and if it had been attempted, Elizabeth, Francis, and their families would have all faced serious public shaming and exclusion (the modern equivalent to the level of embarrassment and notoriety would probably be online or tabloid shaming). So understanding all of that, there was basically no chance that someone in Elizabeth’s shoes would have made any other choice but the choice that she made – go ahead with the marriage to Francis. In the show, Elizabeth’s mother pressures her a bit, but only for the benefit of the modern audience. In the book, it’s hardly even a question because of course she would still marry Francis. There was no other choice. The heart-pounding, sweaty-palmed feelings aren’t there, but they both certainly want to do right by each other at the outset and are well-placed to be the picture-perfect aristocratic family that leads their little 18th century English community. And that’s part of what makes their unhappy marriage so sad to watch in the chapters/episodes that follow. Yes, she changes, but I will unashamedly defend the Elizabeth of the earlier books and the first season-and-a-half or so of the show. I think it’s clear that she married Francis with good intentions, even though she continues to struggle with feelings for Ross. She wanted to be a worthy wife to Francis and a worthy mistress of his home, so it’s not her fault that he spirals into insecurity and delinquency. Let it be known that I have a good bit of sympathy for Francis too – despite his long friendship with Ross, Ross is still Elizabeth’s first love and it’s understandable that doubt would raise its ugly head. But he takes it out on Elizabeth as well as Verity in a most vindictive and unhelpful manner. So yes, Elizabeth did choose to marry Francis, but she chose that in the belief that he loved her and would try his utmost to be a good husband. It’s not her fault that he turns out to be a cowardly, incompetent, gambling alcoholic and adulterer who loses his whole livelihood. Wouldn’t that be disappointing and painful for any woman, no matter what era she lived in? Not to mention that she also watches Ross marry Demelza and live in marital bliss in the meantime. Is it any wonder that she’s unhappy and maybe fantasizing about what life might have been like if she’d had a proper chance with Ross? It makes sense to me. No, it’s still not right for her to entertain romantic thoughts about Ross or to initiate some of the emotionally charged conversations with him that she does. But I understand mentally how she gets there because literally any woman would do or be tempted to do the same in her situation. Ross: Elizabeth. What can I do? Elizabeth: (ironic laugh) Not once has Francis asked me that question. Ross: He’s afraid to. You must know this is never what he intended for you. Elizabeth: And yet it is how it is. And we shall weather it – retrench, make economies. There are many worse off than we. But Francis feels sorry for himself; I will not do so. That last line particularly stood out to me when I first watched the show. I think it’s one of the biggest contrasts between her and Francis. Francis whines and drowns in self-pity; Elizabeth quietly submits to the difficulties and does her best to love her son, Verity, and Aunt Agatha. And despite her failings where Ross is concerned, I still think she puts in a determined effort to make things normal with him and is at least cordial to Demelza. Many fans seem to accuse Elizabeth of having ulterior motives even early on, but I don’t really agree. What specifically is she trying to do other than keep a stiff upper lip and be the good neighbor and cousin to Ross and Demelza that she’s supposed to be? Indeed, Ross actually observes Elizabeth and Demelza in conversation with satisfaction at one point in the second book and reflects that he’d been hoping for friendship to develop between them. The show makes the two women friendlier towards each other in the early days than the books do, but I think that’s partially in an effort to bring Francis and Elizabeth into the forefront of the story from its beginning. But even so, as previously discussed, marriage was a locked-in deal back then, even if you were discontent. Elizabeth entertains inappropriate conversations with Ross plenty of times, but I think it’s overreaction to accuse her of purposely scheming to split up Ross and Demelza from the start of their marriage or of trying to lure Ross into a full-out affair with herself. That would reek of scandal, the very last thing a woman like Elizabeth would have wanted, despite her deeply buried jealousy and hurt. So, it makes perfect sense to me that Elizabeth was simply trying to make the best of her situation in the earlier days, no matter how unhappy she was underneath. It’s my belief that Elizabeth is extremely unhappy for almost her entire marriage to Francis, so if she comes off as less than genuine, is it not understandable? She’s constantly putting on a show, after all – doing her best to make things alright while never saying what’s really on her mind. It’s just what was expected of her and every other woman like her in that time period. She’s the norm for that setting; Demelza is the delightful exception. To be continued! Next we'll come to all the drama that hits the fan in Season 2/books 3-4 and how Elizabeth deals with it. Partial spoiler: not too well... but... well, I'll save it for then! :) Let me know what you think of the points made so far! 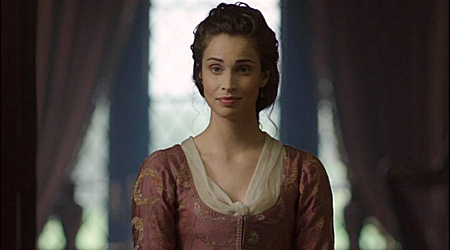 How did you interpret Elizabeth in these early books and episodes? Did your opinion change or flip-flop at any point? I'd love to hear! I don't blame Elizabeth for marrying Francis. Times were different then. Their story reminds us of how little women could do when their husbands made mistakes. She kept things going at home and protected her child. I'm sure she wishes she could have been with Ross instead, especially when he did so much better than Francis. I've read books five and six so my opinions have changed somewhat but I'll save that for another time. Agree completely. I like Elizabeth, and feel sorry for her, and all women of that time. They were simply possessions, of their fathers and husbands, and had to make the best of whatever situation they found themselves in. Especially after Francis died, she was a mostly destitute widow and mother, and George came along to save her. She had no choice, Ross was married, and no assurance he would change that. Such a sad life. Agreed! I think her marriage to George was about survival more than anything else -- not many men would have been keen to take on a destitute widow in her late twenties who also had a son and elderly relatives to support. She was trapped and I felt terrible for her.